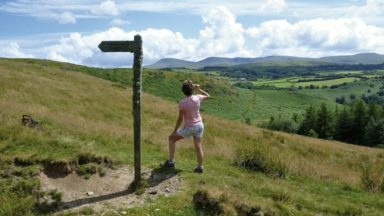 Guidebook to 45 lesser known circular walks in Brecon Beacons National Park, perfect for those wishing to discover the diversity of the region, away from the crowds. 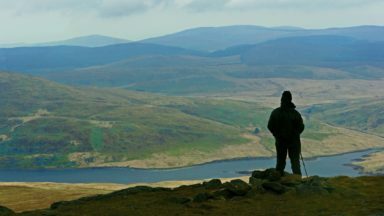 The routes, which range from 3.3km (2 miles) to 21.6km (13.4 miles), cover four geographic areas: Mynydd Du (The Black Mountain), Fforest Fawr, Brecon Beacons and the Black Mountains (Y Mynyddoedd Duon), offering a variety of stunning mountain and valley walking. 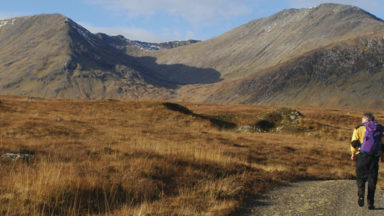 Designed to be akin to ‘a park ranger in your pocket’, route descriptions (together with 1:50,000 OS mapping) are accompanied by commentary on topics such as geomorphology, archaeology, local history, land-use and environmental issues. A useful Welsh-English glossary is also included, as are summary tables organizing routes by both difficulty and interest. 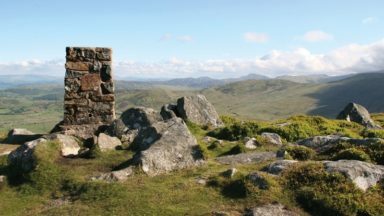 A remarkably diverse landscape, the Brecon Beacons National Park showcases some of the best scenery in Wales. 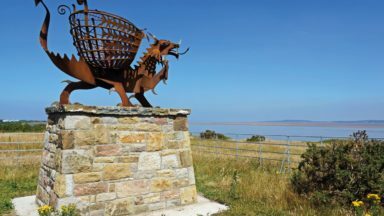 The area also offers a plethora of sites and activities for visitors of all ages and interests. 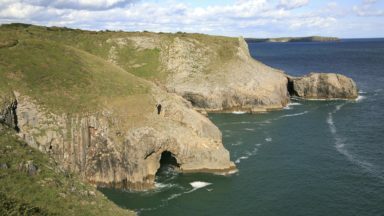 Favourite attractions for children include Dan-yr-Ogof Show Caves in the Swansea Valley, Brecon Mountain Railway at Penderyn and Big Pit National Coal Museum near Blaenavon. Picturesque market towns on the edges of the park, such as Llandovery, Brecon, Crickhowell and Abergavenny, are also great places to explore. Route 27: Height gained is 644 metres (2113 ft) not 696 ft, but the mileage is correct. Thanks to Roger Craven for this correction. Incorrect Maps and grid references. Western area, OL12 and Eastern Area, OL13. Unfortunately some of the grid references and the Map codes given at the start of each walk are incorrect. Walks 1 to 39 are on map OL12. Walk 40 starts at SO 223 192.
as diversions for paddlers wanting excursions from the Monmouthshire & Brecon Canal. Some routes might be relevant to enthusiasts wanting to tackle spate streams, the frequent snow in the pictures helping set the scene for winter runs. The hill walks are relevant as they are often the only was to reach launch points. For those interested in wildlife there are long lists of plants with scientific names, birds to see are noted and a hatred of conifer plantations is repeated at intervals. Of the book’s seven sections, the waterfall country will be the one of greatest interest to paddlers, also the section with least hillclimbing. Sgwd yr Eira is the jewel in the crown and the book recalls how canoeists used it to set the British height record (Shaun Baker and friends, Jun 87 cover story, actually a world record, with Sgwd Isaf Clun-gwyn Part 1 as a bonus) although there are plenty of others pictured for waterfall jumpers to contemplate. Some informative sketches explain the geology which results in the falls in this area andexplains why there are deep pools below the falls, essential for jumpers. Information on the falls and how to reach them is of particular value, perhaps not obtained so easily elsewhere (although it was a book on walking in this area that alerted Shaun to the possibilities in the first place). 'If you would like a book that is well laid out, easy to follow, has a range of different routes and full of helpful and interesting information, then this guide will do you very well. 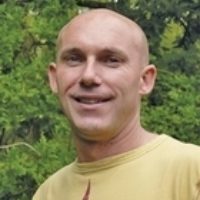 ​David has enjoyed the mountains of Britain all his life, walking and climbing in Wales, Scotland and the Lake District. He has also trekked and climbed in Nepal, Pakistan, Tibet, Ladakh, New Zealand, Ecuador and Patagonia. He was head of a university unit of forensic dentistry, working here and abroad. 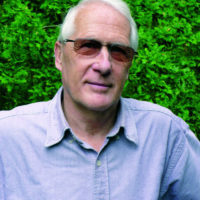 He is now Emeritus Professor in the subject and in 2003 was appointed OBE for his work.